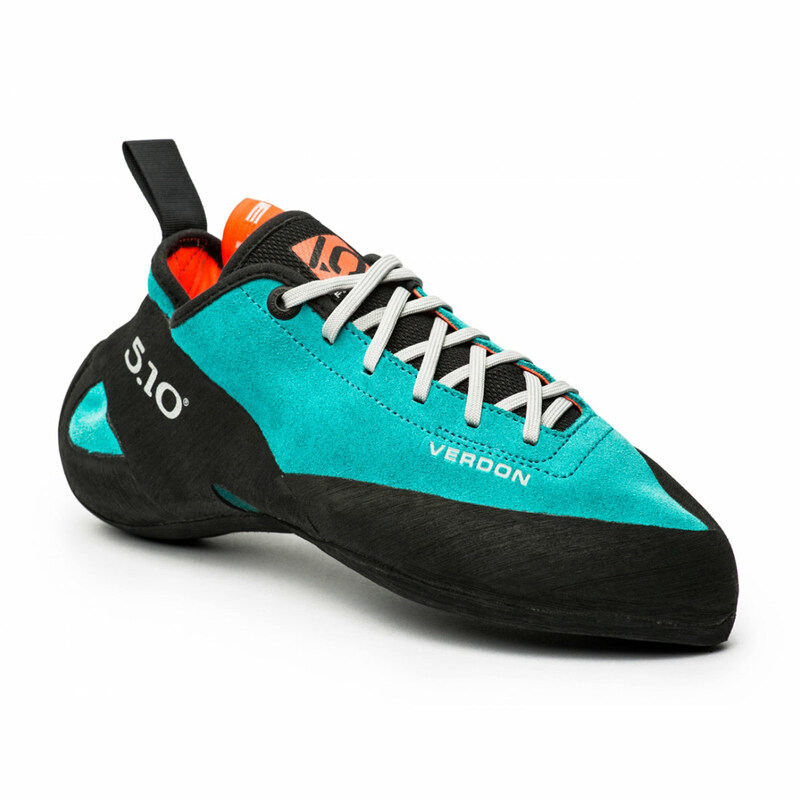 The Five Ten Verdon Lace is named and coloured after the Verdon Gorge, but luckily that's where the similarities end. 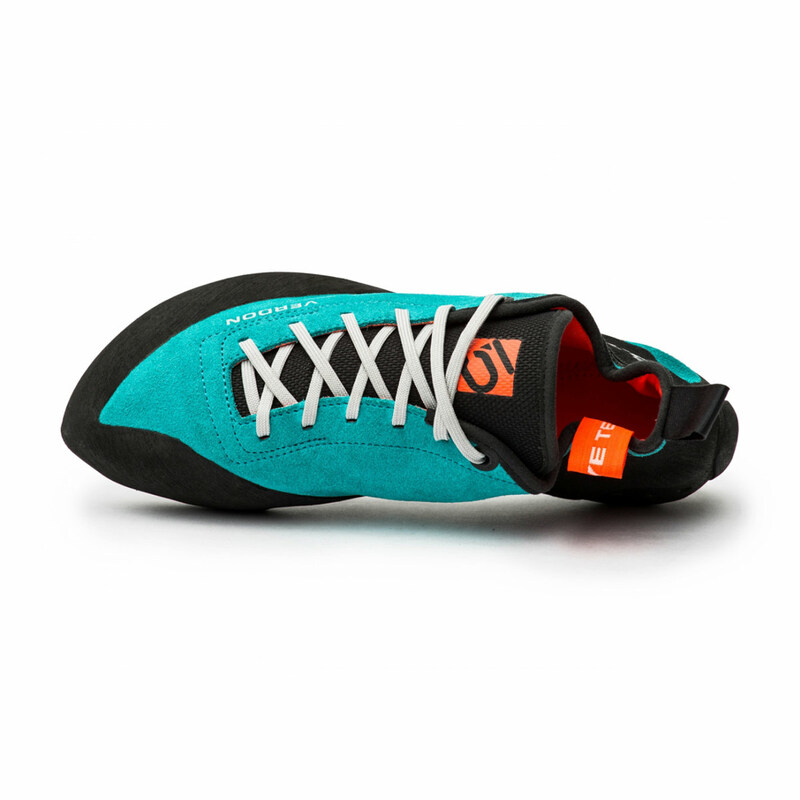 This climbing shoe is designed for one thing: edging. Actually, two things; the Verdon Lace uses a cushioning inner foam to support the foot, making them absorbent and foot-friendly. If you're going to be climbing limestone routes with lots of edges or longer face routes, the Verdon Lace might just give you the edge that you need. Ça marche. Performance-wise, the stiff, thermoplastic midsole, and asymmetric toe box will provide maximum foot support whilst not being too uncomfortable to wear for extended periods. Comfort has been a key design element of this shoe, and aside from the breathable leather upper and perforated tongue, the Verdon Lace features impact-absorbent and cushioning EVA foam that moulds to the shape of your foot, aiding in muscle and bone structure support - i.e., a more homogenous power exertion. This level of comfort makes the shoe feel much less aggressive, and it will feel right at home on long multipitch climbs in the sun. The Verdon Lace has been built with a lined leather upper, so expect it to stretch about a half size. EVA is a special type of foam padding that cushions your feet and moulds to the shape of your foot, filling dead space inside the shoe and supporting bone and muscle structure. Climbing shoes can be harsh on feet and cause certain problems later in life, so it's always a good idea to think about your anatomy and mechanics wherever possible. I`ve been wearing this shoes for a couple of months, these are the stiffness shoes in the five ten range. Feels pretty comfortable, the period to break it is relativy short, a couple of days. 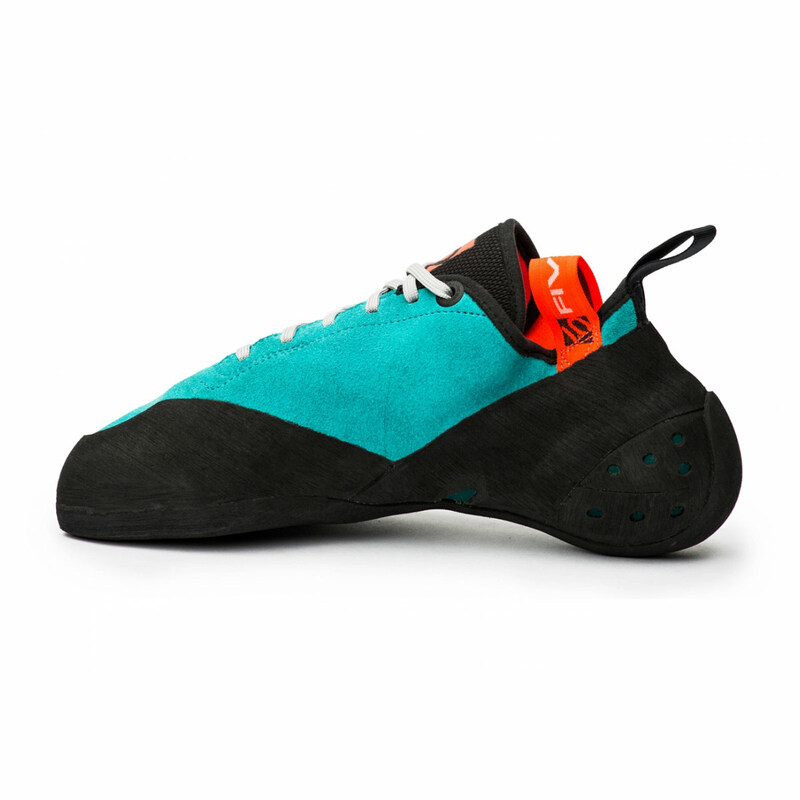 The perform is superb i can`t thinking in a weak point, these can smear pretty well even it's not their propouse, in micro edges is when this shoes and their pointy toe amaze you, the heel it`s very stiff like in the la sportiva miura. Are designed to long routes, but its in limestone bouldering where i was charmed. Compared to my 5.10 anasazi pink they fit a little bit bigger and wider, my recommendation is going half size down compare to this. I expected Verdon to be better. After one season they look very tired. 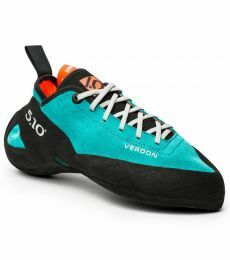 From my point of view they are good enough for indoor trainings, for rock climbing I prefer something more asymetric. Good point of this shoes is its design. Another worth mentioning thing is that they are very comfortable, and I can say that after one season the size is quite the same. The shoes are asymmetric and slightly downturned with a pointed toe, I’ve used a variety of shoes in the past and find these to be fairly average in width and volume so with the adjustment in the laces they should fit narrow or wide feet fairly well. I have owned a couple of pairs of 5.10 lace shoes in the past and find these slightly shorter than the average 5.10 and the toe box at the end of the shoe pinches down more on my big toe than I have experienced in other 5.10s so might be worth keeping in mind for sizing. I have used the verdons now extensively for a couple of months and so far have experienced virtually no stretch in the shoes but 5.10 advise the shoes may stretch a third to half a size. The soft liner and tongue together with laces make the shoes much more comfortable than other mid-level performance shoes I have used in the past. The shoes are relatively stiff and together with a very positive rand this makes the shoes edge excellently. They give you loads of confidence standing on small positive chips, great on the limestone. The strength in edging is traded off with a weakness in smearing, whilst you can smear the shoes are not very sensitive or soft and if smearing is what you need there are shoes more specifically designed with that in mind. 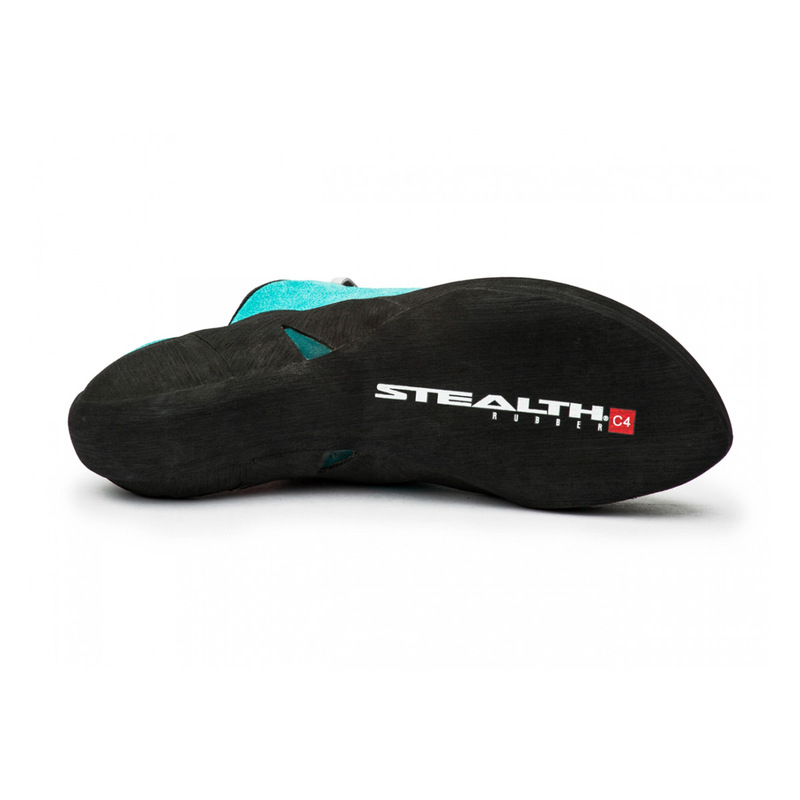 That said the excellent C4 stealth rubber goes a long way to making the shoes stick regardless. My personal opinion is that these are great mid-level performance shoes giving a good balance of between comfort and performance on excellent rubber. The shoes excel in edging and as a result suffer slightly when smearing, so probably more suited to limestone than granite/grit but good all-round shoes none-the-less.